The Department of Biotechnology (DBT), Govt. of India, Indo-U.S. Science and Technology Forum (IUSSTF) and WINStep Forward has issued Khorana Scholars Program 2019 Online Application form for all the students who are enrolled in final year bachelors or master’s degree in biotechnology. Through this scholarship scheme, the young talented candidates are confident to pursue research work at the University of Wisconsin-Madison (UW). The students must be studying in bachelors or master’s degree in biotechnology and related areas such as agricultural, food, health and biomedical sciences at documented institutions of India. Applicants who are implementation their degrees on or after May 2020 are eligible. Final year/ Ph.D. students cannot apply for this program. The interested student must have CGPA of at least 8.0 or 80 %. Shortlisted candidates chance to follow a placement from the important colleges of US. The internship lasts for a period of 10 to 12 weeks. The scholars will receive a stipend, round-trip airfare, and health insurance. Selection Procedure: department will selected candidates on the basis of merit list of the qualifying examination. Register your name here . Press on “Apply Now” button and then on “Start Application”. After that by entering a username (email ID) and password. Now, attach all the necessary documents. 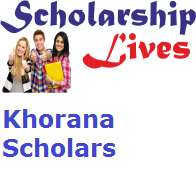 Online Application Form of Khorana Program for Scholars 2019 has been now available. The last date to apply is 31st October 2018. The program will be held in the month of May-July 2019.